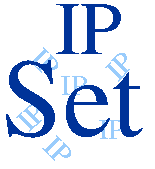 IP sets are a framework inside the Linux kernel, which can be administered by the ipset utility. Depending on the type, an IP set may store IP addresses, networks, (TCP/UDP) port numbers, MAC addresses, interface names or combinations of them in a way, which ensures lightning speed when matching an entry against a set. then ipset may be the proper tool for you. IP sets was written by Jozsef Kadlecsik and it is based on ippool by Joakim Axelsson, Patrick Schaaf and Martin Josefsson. Many thanks to them for their wonderful work!